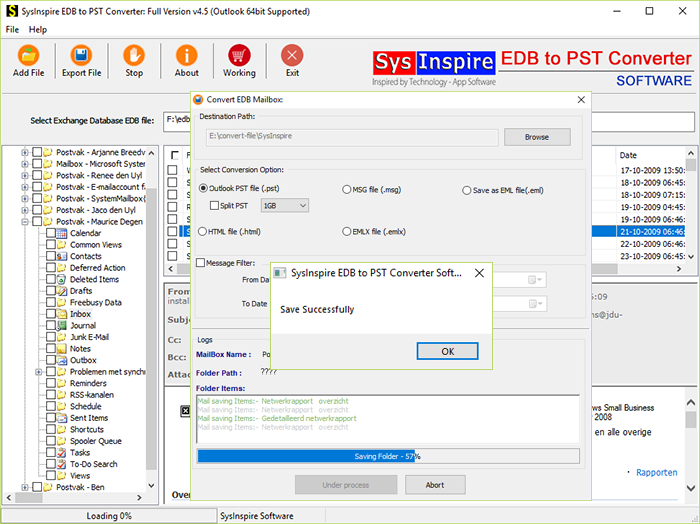 SysInspire PST to Office 365 Converter Software is valuable and free tool to export Outlook Contacts to Office 365 and export Outlook calendar to Office 365. 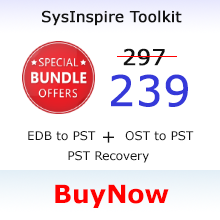 This software also known as fast PST to Office 365 Conversion Software that capable of extracting every outlook mailboxes items like- emails, calendars, task, notes, attachments, contacts and etc and convert all of them into Office 365 cloud with maintains each records of PST file. 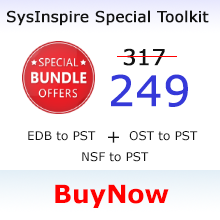 Supports both ANSI and Unicode PST File to convert data into Office 365. Maintains all Outlook Mailbox folders structure, emails formatting and properties- to, bcc, cc, time, subjects and from. 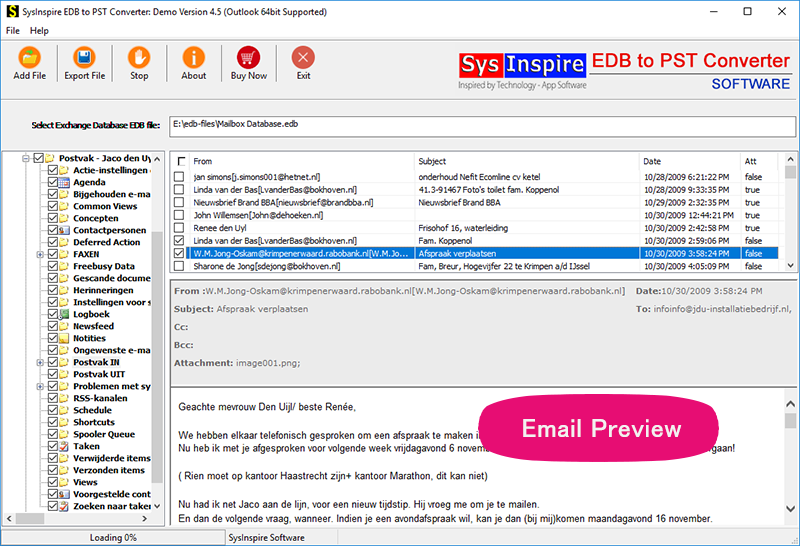 Convert Outlook from 2016, 2013, 2010, 2007, 2003, 2000 and below versions. It is secure from all types’ virus attacks and successfully Export Outlook to Office 365. Import Outlook Emails, Contacts, Calendars, Notes, Task, Appointments, Journals and etc. 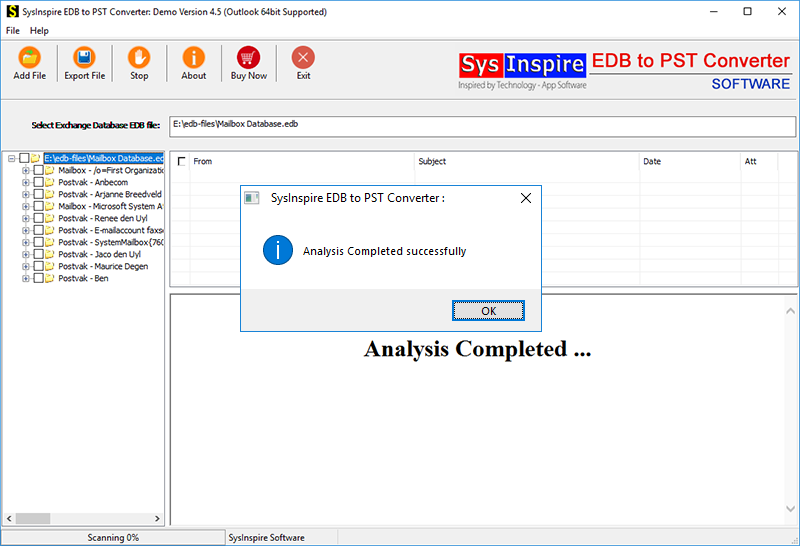 No matter Outlook file is corrupted and healthy because now this SysInspire PST to Office Migration tool supports any type outlook file whether corrupted, damaged, and encrypted and password protected outlook file for making smart PST to Office 365 Conversion. It provides easy graphical user interface that can be operated by any type user (technical and non- technical) to convert PST to office 365. While Exporting it maintains all folders, sub-folders structure and emails formatting/ properties- to, bcc, cc, time, subjects and from. PST to Office 365 Converter Software is 100% complete and consecutive PST to Office 365 Conversion Tool that allows users extract every outlook mailbox items along with every folders like- emails, contacts, calendars, contacts, task, notes, journals and other remain folders and convert PST to Office365 without difficulty. PST to Office 365 Conversion Software gives users best opportunity that they can export outlook calendar to Office 365. So with this software you can add your Outlook calendars folders to convert its complete items into Office 365 account without altering in calendar items with 100% secure truthiness. Converting Outlook mailboxes to office 365 is become very easy and simple task with using this wonderful PST to Office 365 Migration Tool that allows users convert all outlook emails along with all attachments items into Office 365 account. While conversion, it preserve all emails formatting, properties and emails header information. 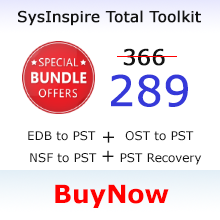 Take help of this best SysInspire PST to Office 365 Converter Software that is secure in conversion. You can also convert all outlook folders into Office 365 with maintains all contacts details like- emails address, first name, last name, contacts phone number etc. Software quickly Export outlook contacts to office 365 without problem. While Convert PST to Office 365, the software maintains all folders, sub-folders structure so that you don’t need to think about your outlook database. PST to Office 365 Conversion Software quickly migrate outlook to Office 365 with preserve folders structure, emails formatting and emails properties like- to, bcc, cc, time, subjects and from. 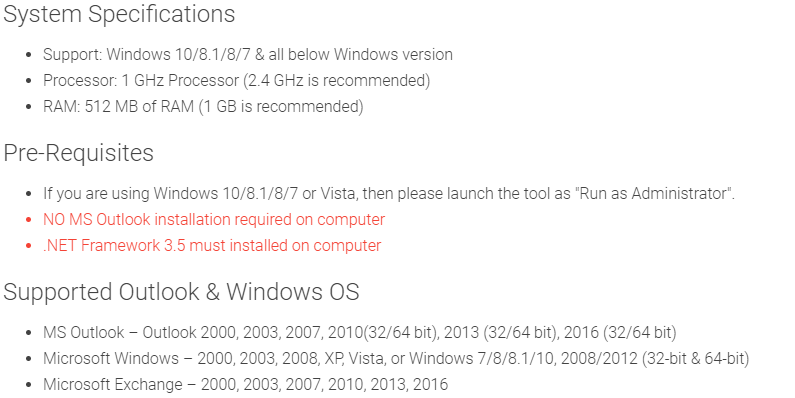 Can I convert corrupted 2016 outlook file to Office365 using this PST to office 365 converter Software? 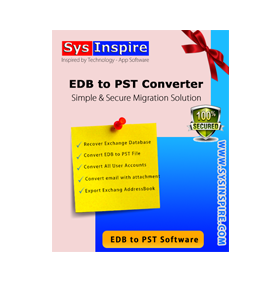 Yes, this PST to office 365 migration tool easily support both corrupted and healthy outlook file of any versions included- 2016, 2013, 2010, 2007, 2003 and below versions to convert data into Office365.